Venture Corp’s 2Q18 earnings came in above our expectations at 25% of full-year forecast. 1H18 formed 47% of our FY18F. Despite the sales decline of 6% y-o-y in 2Q18, Venture executed well as a group in improving cost efficiencies, leading to net profit margin of 10.3%. An interim DPS of S$0.20 was declared. 2Q18 effective tax rate was lower at 15.0% versus 17.3% in 2Q17. We maintain HOLD with Target Price of S$17.83. 2Q18 sales fell 6.0% y-o-y but Venture executed well in improving cost efficiencies. Cost of materials used in production fell 13% y-o-y while employee costs and other operating expenses fell 7% and 13% y-o-y. Results were also aided by S$2.0m in investment revenue and S$2.5m in exchange gains and a lower effective tax rate of 15%. An interim DPS of S$0.20 was declared. The balance sheet remains strong with net cash at S$647m at end-Jun 18 vs. S$367m at end-Jun 17. Free cashflow generated during the quarter was S$109m. Working capital position was S$925m, while inventory position was S$727m at end-Jun 18 to support customers’ requirements and programmes. We believe Venture will accelerate its efforts in creating clusters of excellence while growing existing ones. 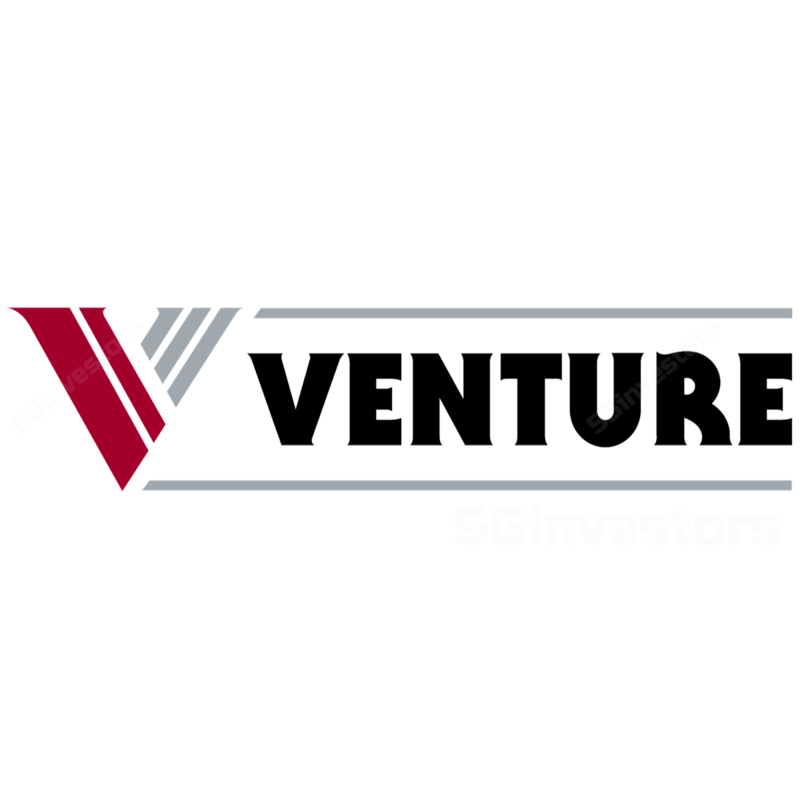 Venture’s focus on expanding its R&D Capabilities, Transformational Engineering and Operational Excellence continues to underpin the group’s ability to gain traction and deepen its collaborative partnerships with leaders in fast-growing domains of interest. Venture guided that some volatility may arise in the near term from customers’ M&A, new product/platform transitions and also from the possibility of an escalating trade war and component shortages. At the same time, Venture and its partners have worked out various strategies to mitigate these issues. We also understand that less than 2% of Venture’s revenue may be affected by the trade tariffs published by the US Trade Office. Our target price remains S$17.83, based on 12.3x (0.5 s.d. below the 11-year average of 15.3x) FY19F earnings. Maintain Hold. Upside risks to our call are the launch of new products by customers as well as the possibility of existing or new customers seeking to have more production outside of China. Downside risks could come from delays in product launches by customers.